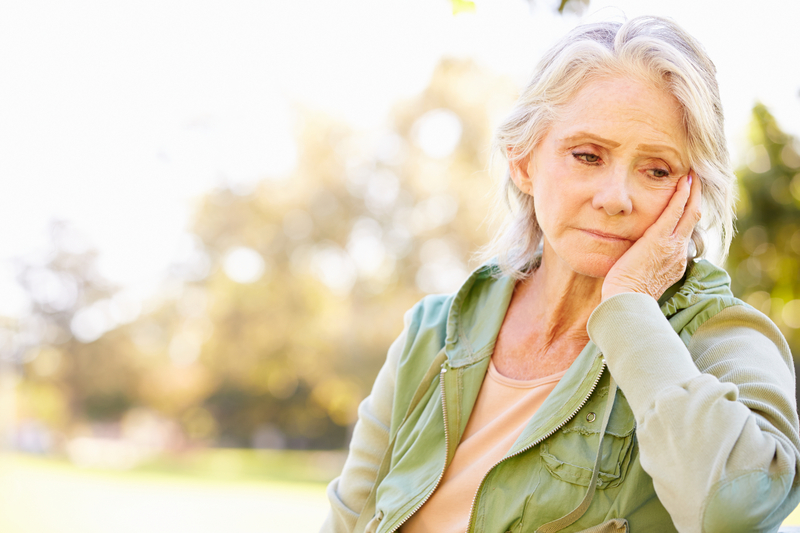 Approximately 25% of all seniors aged 65 and older suffer from some form of depression, with more than half of the elderly dealing with emotional distress. For those of us with loved ones over 65, these kinds of statistics can be shocking, and beg the question, why is there so much depression? Unfortunately, depression is one of the major causes of decline in the health-related quality of life for senior citizens. Ironically, it tends to develop because of disability, age decline, diminished quality of life and /or dementia. In order to combat depression in the elderly, it’s important to get creative with our methods of treatment. The following are some of the best ways to help avoid depression in seniors. Separate the illness from depression. Depression in seniors is much more complicated than in young people because some disease exacerbate depression symptoms. For example, those who suffer from Parkinson’s disease and stroke victims often have greater depression. Therefore, it’s important to treat both the depression and the chronic illness simultaneously. Both the disease and the depression should have aggressive and separate treatments to truly care for the patient. Clear communication between the patient and doctor is also a must. Disabilities, falls, osteoporosis, arthritis, weak cardiopulmonary systems and the like can make a senior feel dependent on others and lead to depression. Taking up an exercise program such as yoga or Tai Chi is a great way to improve balance, core strength and confidence. Seniors can also do light strength training to help improve strength. It’s never too late to start an exercise routine to improve the quality of life and lessen depression. While this may seem obvious, many people over 65 suffer from alcohol abuse. Many seniors self-medicate with alcohol and drugs as a way to cope with loneliness or pain. If the senior is living independently it may be hard to detect if they are abusing alcohol as a way to cope with depression. Unfortunately alcohol is a depressant itself and can make symptoms much worse. Additionally, alcohol can interfere with medications and lead to other conditions. As a caretaker of a senior loved one, do what you can to keep alcohol away. Half of American women are widows by the time they are 65. Because of the death of a spouse, a loss of family members and/or peers, depression can set in. While grief is to be expected and completely normal, it’s not normal for a senior to have to deal with chronic depression. By distinguishing between grief and depression, the intensity and varying degrees of crying, anger, irritability and loneliness can be handled through various appropriate treatments. A person dealing with grief can still enjoy some of life’s activities while those suffering from depression may need coaxing and additional treatment. Identifying the difference between grief and depression is the first step. Getting your beloved senior involved in new activities and/or keeping them involved in activities they have always loved is a great way to help them combat loneliness and beat depression. Research shows that seniors with strong social networks are more resilient to depression and anxiety, especially in their senior years. While seniors are constantly dealing with the loss of peers, regularly being a part of their nursing home activities, neighborhood or church is encouraging continual connection with people. Try to get your senior involved in volunteering, book clubs, taking a class, or being a part of a hobby club like birdwatching, quilting or photography.Avoiding depression in seniors can be a difficult and exasperating task for caregivers, especially if the senior is resistant. One of the best things you can do for your beloved senior is to encourage a sense of purpose in their life. Help them understand why they should be happy to get up in the morning, and encourage them to have a purpose to their day. A little motivation and a touch of kindness goes a long way.Does your Assisted Living Facility or Homecare Agency provide treatment for seniors dealing with depression? Do you provide activities, networking, and comfort for seniors at your facility? If so, get the word out by using SSMAPS.com to advertise and let families of seniors know they can count on your for help. SSMAPS.com is a trusted, reliable source that lets the clients or social workers reach out to the facilities directly. Additionally, Assisted Living Facilities and Homecare Agencies that advertise with us get their own webpage. Even before you sign up you can see that we are significantly worth it because you get so much more with us. Reach your prospective patients and their families faster during one of the most helpless times in their lives. Use SSMPAS.com and everyone from patients and families to you and your business will benefit.